Used Volkswagen T-Roc Review - 2018-present | What Car? What's the used Volkswagen T-Roc hatchback like? Volkswagen cars are usually eminently sensible things that offer customers a well-built and practical vehicle. But they don’t often excite the soul. Small SUVs, on the other hand, are very desirable at the moment. 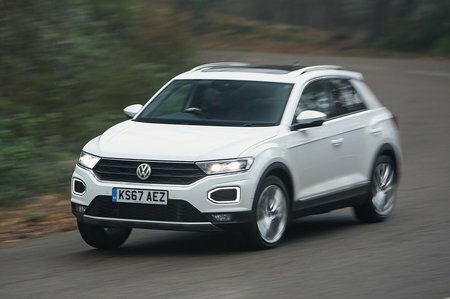 So what better way to jazz up the VW range than to produce a handsome small SUV? Given the appetite for more stylish SUVs, the T-Roc faces stiff competition from rivals such as the Hyundai Kona, Seat Arona and Toyota C-HR. There are three petrol engines and one 2.0-litre diesel unit to chose from. The entry-level 1.0-litre turbocharged three-cylinder petrol has a useful 114bhp and makes relatively easy work of motivating the T-Roc. If you regularly drive five up, there's the 148bhp 1.5-litre turbo petrol for not much more money. Need four-wheel drive? Go for a top-of-the-range 2.0-litre petrol or diesel engine. The T-Roc is good to drive, with light but progressively weighted steering and a comfortable ride that soaks up the worst of our potholed roads. The gearbox is nice and slick, and helps you make the most of the performance available in some of the smaller engines. The car grips well in corners, too. Space is good in a T-Roc, although five is a bit of a squeeze due to a small middle perch and a transmission tunnel that gets in the way in the rear. The boot is big, though, and can take plenty of holiday suitcases. However, T-Rocs with four-wheel drive have smaller boots than ones without because the floor has to be raised to accommodate all the extra mechanical gubbins below. The dashboard is a bit of a disappointment, because there is not one piece of soft-touch plastic anywhere. This is a bit of a shock, since most of the T-Roc’s rivals manage to provide even just a sliver of yielding plastic. There is plenty of equipment, though. 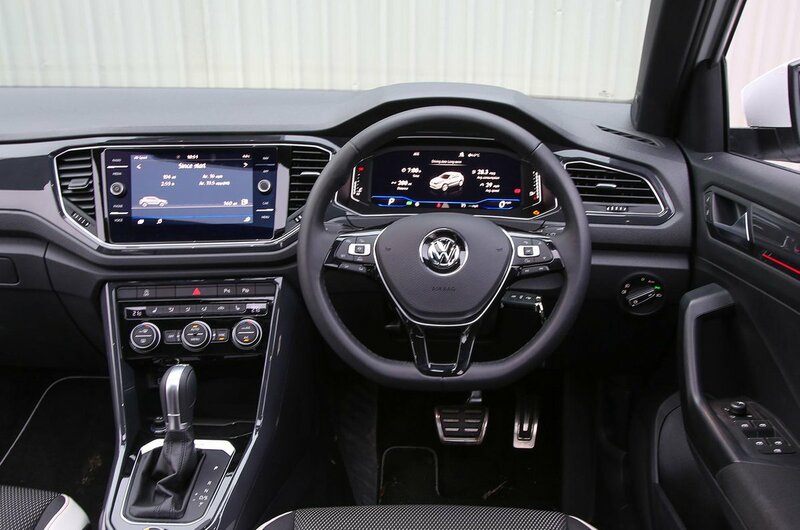 Every T-Roc has an 8.0in touchscreen infotainment system, dual-zone climate control, Bluetooth, a DAB radio, 16in alloy wheels, automatic emergency braking and lane-keep assistance.